A recent newspaper article from the Associated Press of August 13, 2018, just a week prior to the posting of this article by Marina Villeneuve, highlighted an interesting development in the state of Maine. This psychiatric commentator felt this was worthy of attention on a larger stage as it illustrates several issues regarding the continuing struggles in this country to try to come to terms with our three decades old national mental health service delivery crisis. The article entitled, “Company fights to keep details of Bangor psychiatric home a secret,” concern the efforts of the Republican governor of Maine Mr. LePage and a Florida-based company, Correct Care Solutions, to keep secret the disclosure of its contracts, legal arrangements, staffing patterns and cost proposals surrounding the construction and operation of a 21 bed “residential psychiatric home” apparently for less acute psychiatric adult patients. This psychiatric residential home is to be operated by this private corporation for at least 10 years. It is to be located on the state campus of the Dorothea Dix Psychiatric Center in Bangor Maine for “some psychiatric patients who no longer need hospital care.” It appears as though there had been openly shared cordial agreement among the “Governor, lawmakers and (mental health) advocates” that the “secure residence could shorten waiting lists and ensure millions in jeopardized federal funding for a state psychiatric center that had lost federal certification” (in the recent past). However apparently in the recent past, the previously shared intentions aims and objectives among the parties in Maine had run afoul of Correct Care’s wish to keep many of its issues, past history and proposals surrounding the construction of this facility secret. In spite of the fact that the company was notified by state agencies that all its proposals would be public documents, the company submitted many of its proposals amid expected secrecy or ‘confidence’ as the company termed it. But it did claim publicly is that its facility would cost taxpayers less in day-to-day per patient cost than the state’s two inpatient psychiatric centers. This is not a startling proposal as inpatient care is always much more expensive than non-hospital-based nonacute level care. As the vetting procedures unfolded apparently attendant to the review in routine fashion by state agencies in Maine, the company declined to respond to requests for updates on the administration’s and company’s plans. In the article from the Bangor News referenced above, it was stated that, “the company wants to prevent the release of its current and closed lawsuits – – and full disclosure of its staffing, cost and operations proposals – – because it says they are’trade secrets’ whose release would benefit its competitors and heard its ability to compete for public contracts.” The Associated Press and other bodies sued for documents under the freedom of information act and had begun to receive and make public. It is somewhat notable and puzzling that the company even claimed confidential and proprietary safeguards over its staffing hiring and retention information and policies. It is difficult for this observer to imagine why such issues are so confidential. The article further details interesting blips as this project tried to proceed within the state of Maine. The governor’s administration and originally selected one company as the builder but a local Bangor developer had apparently announced his own intentions earlier in 2018 to start building the facility the summer of this year. Also noted was the fact that the governor had originally intended to have the facility built at the Riverview Psychiatric Center in Augusta Maine but decided to build it in Bangor in 2016 after the state legislature blocked his initial plans. This development will serve to inform the reader literally two years ago this entire enterprise began to be politically contentious and divisive. As many parties began to weigh in on the irregularities, this project began to go off the rails. The conflict between the legislature and Governor LePage continued openly this year. 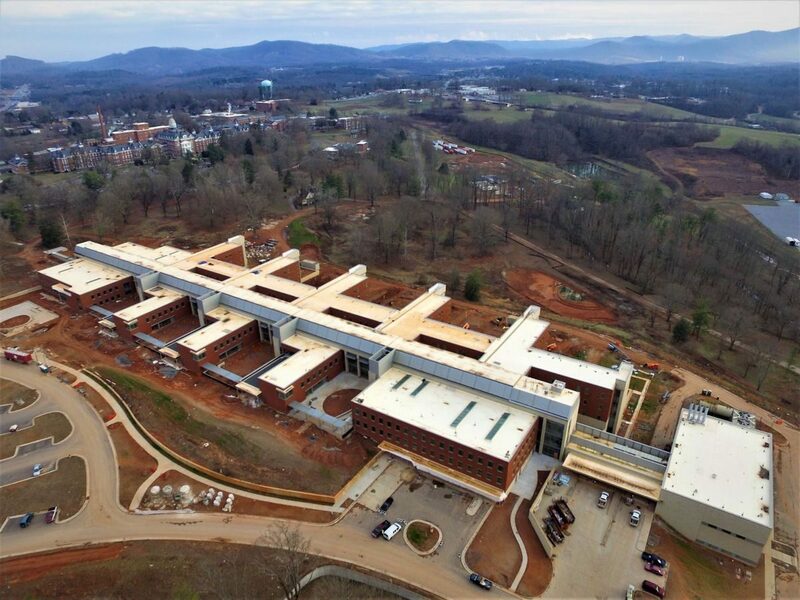 Lawmakers stated publicly that the governor needed special approval to build a new facility and that the administration publicly answers questions about the governor’s plans and arrangements with the private company. Instead of beginning to meet the legislature halfway in order to salvage the possibility of building an innovative care facility, the governor said that lawmakers were “just playing political games after years of discussion about the residence.” The simmering issue became more politicized Amidst all this when the Democratic Atty. Gen. and gubernatorial nominee Ms. Janet Mills offered the legal opinion that the governor needed legislative approval to build a new state building anywhere in Maine. I will at this point begs the reader’s indulgence and engage in a bit of background reporting. An interesting subset to this story is the existence and role of the private national corrections company Correct Care Solutions of Nashville Tennessee. As the reader discovered in the above account, this company’s behavior in the now two-year political controversy involving Gov. LePage and his administration has been less than forthcoming. It has fought public efforts to gain transparency into its policies and proposals. The name of the company “Correct Care” caught my eye and joggled my memory. At the time this story caught my attention I initially confused the name of this company with a better-known private corporation running prison facilities around the country, which I will not name in this article to keep things simple and less confusing. That company has had a less than stellar reputation as well. So when I conducted some modest online research of my own into the company Correct Care (Solutions), I immediately realized that both these companies had been fused in my mind because of years of similar problematic news stories. Correct Care Solutions is the much younger of the two corporations. It was formed only in 2003 and is headquartered in Nashville Tennessee. Its founder apparently a person of quite some wealth was affiliated with a private equity investment group and a healthcare investment group with funds in the billions [we’re talking ‘real money’ here.]. Correct Care has had a checkered and problematic history in its short life already. It has been sued in multiple locales in the last several years. A recent article published November 22, 2017, in the Daily Beast written by Joanna Purpich, entitled, “Prison Health Care Provider Sued 140 Times Now Blamed for at Least Six Deaths,” documents all too well the difficulties that this company apparently is generated for itself. The Daily Beast article focuses on the Varner state prison near Lawrence Arkansas. At this state prison, the apparent policy was to make inmates petition for episodes of medical care. This was described in the article as rigid and arbitrary with medical care being denied on a capricious and arbitrary basis. As is so often the case when an arbitrary and inflexible policy is implemented in such settings, disastrous results are almost always guaranteed in the future. As almost any perceptive observer could predict, at this facility disaster struck and it was reported that an inmate died of pneumonia because of not receiving timely or adequate medical care. Correct Care Solutions has had nothing short of meteoric growth in its very short lifetime. It is now reported to provide mental and physical health care services to more than 100 state and federal prisons and 333 jails nationally. I would invite the reader if they are curious to continue to research on the Internet. It is easy to turn up more than a few reports in this company short history of several years, of lawsuits, indictments and prosecutions for multiple episodes nationwide of shady dealings with local government officials in which nothing short of bribery and influence peddling apparently has taken place in order to buttress insecure contracts with local governments. In point of fact in the Wikipedia page regarding Correct Care solutions, prominently highlighted at the top of the historical entry is a short story of one such indictment process in Texas that is quite illuminating. One can only wonder if the current political potboiler between Maine’s Gov. LePage and the adversaries now arrayed against him in the involvement with Correct Care Solutions have any similarities. The company’s apparently reflexive move to conceal portions of its contracts, staffing arrangements etc., are a very protective corporate stance perhaps arising out of all the legal difficulties it has had. It also appears to be an almost natively hostile attitude toward transparency in operations. This stance in my view is quite antithetical toward operating in the public arena of public state services. And this is part of the rub. It has become almost a mantra for private corporations to shrug off the duty to be open and to submit to oversight, claiming their right to be private since they are private corporations. This is a large issue for our time and has not been solved yet in our country.